This website serves as a starting point for people wanting to learn more about our unique and value-added Scientific Research Institute in the Republic of Macedonia, which has been created as a centre for excellence within the three key pillars of scientific research and development, education and consultancy services. It focuses on the environment, civil engineering, energy, and other associated natural and social science sectors. We are especially excited that our website will be one of our main communication tools for our clients, partners and members. We feel it is important to engage in an ongoing dialogue with the audience we serve. In short, we want to know what you are thinking about under these three key pillars and how the information is delivered. 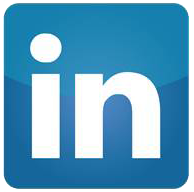 As the Director of the Institute, I plan to post relevant information for our website members and would therefore like to encourage you to become a member of our new website, and to follow us on LinkedIn and Facebook. We hope to see you as an active member of our website!